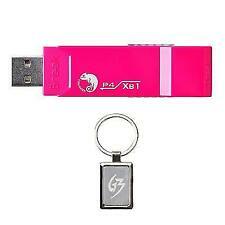 This cable will allow you to sync and transfer your music, pictures, and other data between devices. Connectors: USB 2.0 Type A Male to Micro B Male. Note: Phone & software features are limited to the phone's capability and the service provider's default settings. Original OEM Kinect Adapter For Xbox One S / Xbox One X Windows 8 8.1 10 PC USA! This can be used to setup the Kinect on the XBOX One S, the XBOX One X, and the PC. No noise, more quiet and longer life. Support Windows 8/8.1/10 system. Easy for apply and use! This is a NEW part. This is a 2-slot non-polarized connector for a standard US outlet. THE CABLE IS 6.5 FEET LONG. 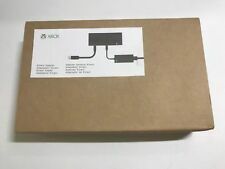 Original Kinect Adapter For Xbox One S / Xbox One X Windows 8 8.1 10 PC USA! Free 2-3 day delivery by USPS Priority Mail! 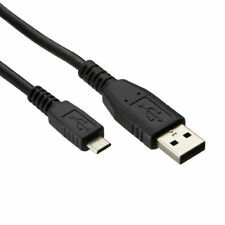 Perfect 10FT USB cable ,makes it long enough to freely play in your car, office,bed, sofa,or any place you prefer. Product Image. Product Information. 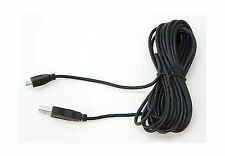 Extra Long 10FT Rapid Charging Cable for PS4 and Xbox Controllers BUY 2, BUYSPRO INC. WILL SHIP ANOTHER 1 FREE (Or simply place 3 in Cart for Ebay’s Applied discount). NEW Complete Hookup Kit for XBOX ONE S. High quality 10 foot HDMI cable, which goes from the back of your XBOX ONE S to the HDMI port in your TV. This kit includes High quality cables! 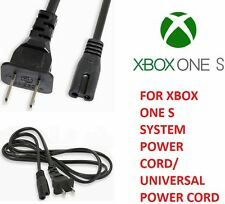 High Quality Power Cord, which goes from the back of the XBOX ONE S to your wall. XIM APEX provides the highest precision mouse and keyboard (and more) experience on Xbox One, PlayStation 4, Xbox 360, and PlayStation 3. XIM APEX Console Input Adapter. XIM HUB with 3 USB ports and 9-in. 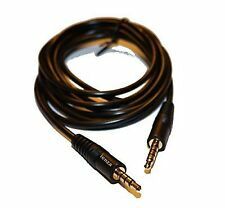 This Headphone/Microphone Combo Jack splitter (4-position 3.5mm to dual 3-position 3.5mm) is a headset Splitter Adapter featuring one 3.5mm Male (TRRS) and two 3.5mm (TRS) Female connectors, enabling you to add a mono microphone input, as well as a stereo output to your PC or Laptop, through a single 3.5mm audio port. Finally, the Kinect is ran through a 12 check inspection to confirm 100% functional. 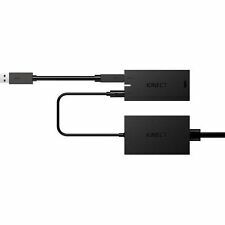 Just plug in the USB cable from the Kinect into your XboX one s or Xbox one X and power adapter into the wall. Xbox One Kinect Sensor. This power cord is 18 AWG for a standard cord gauge size. 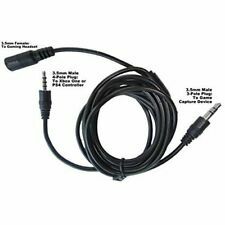 [18 AWG] This power cord is 18 AWG for a standard cord gauge size. - TV Antenna. - Xbox One. This is a 2-slot non-polarized connector for a standard US outlet. This also works with PCs and Macs with a combined mic/headphone jack. Use of the ienza® trademark without the prior written consent of ienza, LLC. ienza products are developed as cost-effective alternatives to OEM parts. XIM Apex only supports chat function when using PS4 slim or pro controller. XIM APEX Manager configuration app requires iOS 8 or higher devices (iPhone 4s and iPad 3rd-gen and above) or Android 4.4 or higher or a PC running Windows 8/8.1/10 x86/x64. 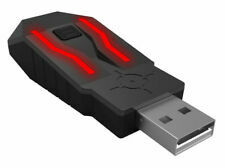 XIM APEX firmware updates require a PC running Windows 7/8/8.1/10 x86/x64 or a Mac running OSX 10.11 or higher. Using XIM APEX with Xbox One requires an extra micro-USB cable to connect the controller to XIM APEX (not included). Using XIM APEX with Xbox 360 requires a licensed Xbox 360 wired controller (not included). Description：. NEW 6 foot HIGH SPEED HDMI CABLE. NON CONTINENTAL USA AK / HI / PR / APO / FPO / & OTHER US TERRITORIES. CONTINENTAL USA. You can search google for "brook accessory download" and the first link as the information to download the firmware. No switching is required. PDP Mortal Kombat X Fight Pad for Xbox One and Xbox 360. Experience the convenience and versatility of the Xbox One Kinect Sensor on your Xbox One S or Windows PC. Windows 8, 8.1, or 10 required for PC. 1 Kinect 2.0 AC Adapter Sensor. Laptop Keyboard. Laptop Fan. Trending at $35.99eBay determines this price through a machine learned model of the product's sale prices within the last 90 days. XIM Apex Keyboard and Mouse Adapter - 432038. Shipped with USPS First Class Package. Works PERFECTLY, used less than 10 times, mouse and keyboard isn’t for me:) Will ship within 24 hours after I receive funds via PayPal only. (1) Compatible For 【Xbox One】【PlayStation 4】【Switch】【PlayStation 3】. (5) To adjust mouse speed, You can press "F3" to decrease or "F4" to increase Mouse Speed. (1) The KMAX1 adapter can't customize the key mapping of the keyboard and mouse. Connect your keyboard and mouse to the NEXiLUX converter to be used as a Joypad. Works with XBOX One. Glowing RGB LED indicator. Works with for Switch. 10 ft USB 2.0 Charging Sync Cable. USB 2.0 Charging Cable. Long 10 Ft cord. Our sales manager will leave you positive feed back once you have left positive feed back for us. Connect your keyboard and mouse to the NEXiLUX converter to be used as a Joypad. Mouse sensitivity can also be adjusted via keyboard. Works with XBOX One. Keymapping with PC (Mouse sensitivity can also be adjusted via keyboard). Stylish Appearance: Perfectly matches with your for Xbox One S console. 1 4 Ports USB Hub for XBox One S. Easy to Use: No install driver needed, just plug and play. Due to the light and screen setting difference, the item's color may be slightly different from the pictures. XIM Apex Keyboard and Mouse Adapter - 432038. Condition is Used. Shipped with USPS First Class Package. (Smart LED Indicator: It shows 3 different connection status. 4) Connecting to Nintendo Switch. 6) Installation step for Nintendo Switch. Connect your keyboard and mouse to the NEXiLUX converter to be used as a Joypad. Works with XBOX One. Glowing RGB LED indicator. USB to Micro-USB data and charge cable for your XBOX ONE. Soft cable for optimal performance. increased durability. Color : Black Material : PVC Cable Length : Approx. 300cm/ 118". Compatible with : For XBOX ONE /Sony PS4 /PSV 2005 /Android Device. Stereo Headset Compatibility : PX3, X12, X11, XL1, X32, X31, XP300. Compatible with other headsets that use with 2.5mm female connectors. Other STANDARD adapters will not work. (Chat Cable Converter Adapter ONLY. ). A: The system has set the silent button. The default WASD corresponds to the left joystick of the handle. If this is not the way you like it, you can modify it to your liking. If using KX?. The mouse and keyboard are plugged into the two USB ports under the converter.